National Master Jerald Times was featured in a new segment called “On the Scene” with Sean Miller. Times answers a series of questions including how he discovered chess and his evolution as a player out of historic Harlem, New York. 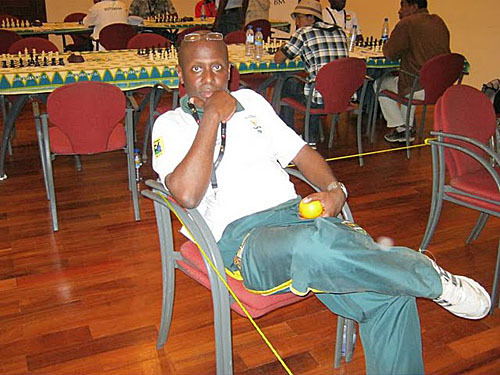 He touched on the fierce rivalry as a member of the “Black Bear School of Chess” and most recently his stint as a national coach of South African youth teams. at the 2011 All-Africa Games. He reflected on his non-chess experiences in South Africa including living the political climate during the time of Nelson Mandela. Perhaps the most poignant may have been the ethnic dynamics and how that related to chess attainment. Interesting.